When your back hurts, your ability to work, play, and spend time with your family can be greatly disrupted. Dr. Mark Brown, M.D. specializes in lower back pain treatment through interventional procedures which have proven successful for thousands of patients, often helping where other back pain treatments have failed. Back pain relief is available and Dr. Brown has the knowledge and experience to help you control your back pain symptoms and maintain a productive and fulfilling life. Dr. Brown can help you manage your pain with proven pain intervention and pain medicine techniques. Contact Back Pain Interventions today and let us show you how we can help. Don’t you owe it to yourself - and your family - to get the treatment you need today? 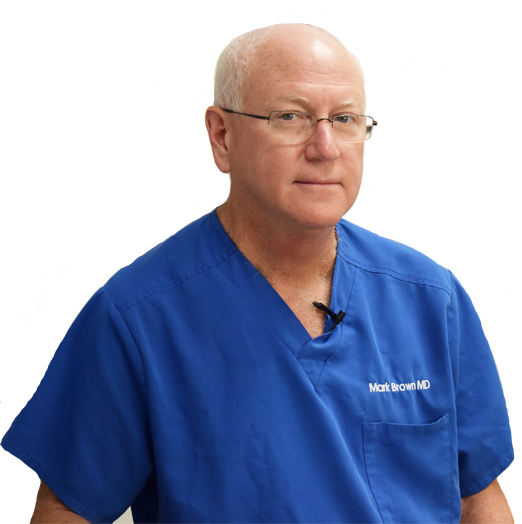 Dr. Brown is a board-certified anesthesiologist and a board-certified pain medicine physician who has been practicing medicine in Houston for over 28 years. He has seen first-hand the devastating effect that back pain can have on a person’s life. This experience has led Dr. Brown to focus his efforts on the treatment of back pain through interventional techniques which are localized and specific, targeting the cause of the pain directly. By virtue of his background in anesthesiology, Dr. Brown possesses an in-depth knowledge of medications and their effects on the body, coupled with a thorough understanding of the complex anatomy of the back and spine. Download forms and view our patient resource library. Dr. Brown knows backs, necks, spines, and all things anatomical and skeletal that can cause you pain. A number of different conditions may contribute to your back pain. Dr Brown specializes in back pain treatment. Back Pain Interventions Associated, P.A. Houston Web Design Firm | GlobalSpex, Inc.